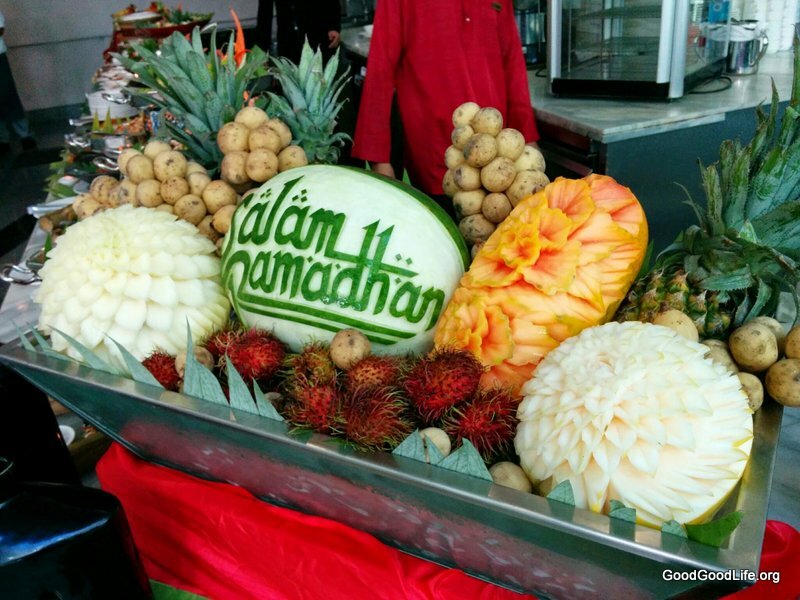 Première Hotel Klang in observing the Holy Month of Ramadan will be presenting its “Citarasa D’Ramadan” at The Buzz, beginning 29th June to 24th July 2014, from 7:00pm to 10:30pm daily with special Ramadan menu such as Ulam-ulam Kampung,Ketupat, Lemang, Nasi Impit with Ayam & Daging Serunding, signature dishes such as Daging Rendang Tok, Ayam Pencen Masak Gulai & Ikan Bakar ala Portugis. Also in the menu is the must have Ikan Merah Masak Asam Pedas, Udang Galah Goreng Masak Berlada, Udang Goreng Kacang Buncis, Siput Sedut Lemak Cili Api, Ikan Kekek Masak Acar Perak and a host of other traditional dishes. For a truly Malaysian experience there is also a Special Briyani Corner serving Chicken / Lamb Briyani with Beef and potato curry. This feast is not complete without a Roasted Whole Lamb marinated with Persian Spices and eight stalls serving hawker foods such as Roti Canai / Murtabak, Chicken / Beef Satay, Luk-luk & Dim Sum, Nasi Ayam, Curry Mee & Assam Laksa, Char Kuey Teow, Chicken Shawarma with Tortillas, desserts such as the mouth-watering Serawa Durian with Pulut, Pengat Pisang, Pulut Hitam and much more. 30 children from Rumah Anak-anak Yatim dan Miskin Al-munirah Klang and members of the media were treated to a “first-taste” of the “Citarasa D’Ramadan” buffet offerings on the 23rd June. The event was graced by Tengku Besar Putra Selangor and OCPDs of Klang Selatan and Kuala Langat. Goodies and ‘Duit Raya’ were distributed to the children as part of Première Hotel’s Corporate Social Responsibility programme. Première Hotel’s main foyer will be decked with AidilFitri decor with the Sialkot Clock Tower located in Saddar Bazar, Sialkot in Pakistan being the main attraction. The “Citarasa D’Ramadan” buffet vouchers can be purchased at The Buzz, priced at RM98 net per adult. With every purchase of 10 vouchers totalling RM980 net, an additional voucher will be given FREE. Early Bird promotion voucher worth RM78 net each can be purchased but only to be utilized for the first week of Ramadan. Special discounts are also available for children or “warga emas” at RM69 net each throughout the period. Première Card members and Première Plus members will enjoy a 20% and 15% discount respectively on vouchers priced at RM98 net. WCTAirAsia Bigcard holders meanwhile can earn One Big point for every RM1.00 spent to redeem FREE Flights from Air Asia. Membership is free. For dining reservations, please call +603 3325 6868. This entry was posted in Food and tagged beef, buka puasa, hotel, klang, puasa, ramadan, rendang, tandoori by TheGoodGoodGuy. Bookmark the permalink.